2. Next, you need to look inside SCOM installation media (ISO) in the ”ManagementPacks” folder. For some reason (at least in my case), you don’t have the newer version of these MPs already installed. Import them also to SCSM. Import in both SCOM and SCSM. 5. If you don’t have a SCOM connector already created, create one. 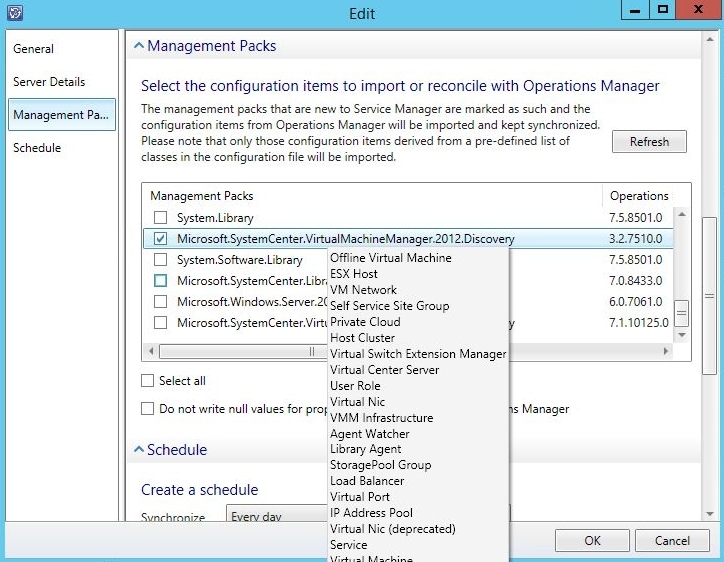 Select the “Microsoft.SystemCenter.VirtualMachineManager.2012.Discovery” MP. 6. Create the SCVMM Connector. For this to really work, you need to make sure that the SCOM console is installed on SCVMM. After that, go to SCVMM settings and configure the connection between SCVMM and SCOM.